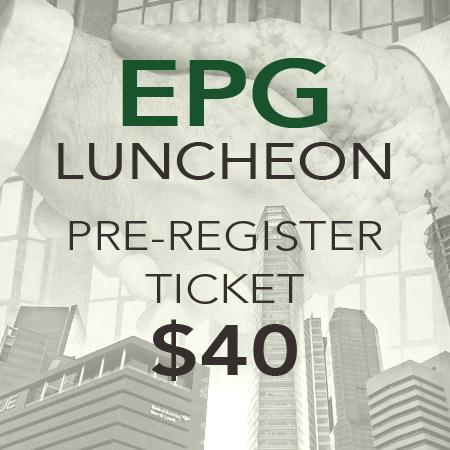 Thank you for joining us at our EPG Events! Please select which event you wish to attend (if applicable) and the amount of tickets you wish to purchase. You will receive confirmation of your purchase via email and we will be meet you at the door of the event with your name-tag. We are eager to introduce you to our member network!